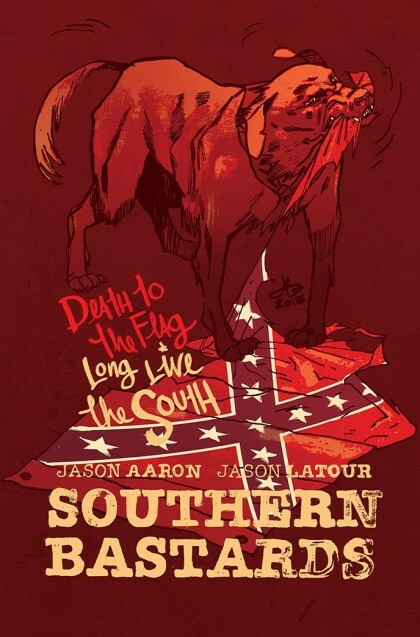 We ordered heavy on the “Death To The Flag, Long Live The South” cover so be sure to come by and grab a copy when you can. Thanks! This city’s fund will provide direct financial support for the funeral and burial expenses of the nine victims of the senseless tragedy. Any funds remaining after the funeral and burial expenses are paid will be donated directly to the Emanuel AME Church in ways best determined to benefit the surviving families and the Church. Donations to this fund are NOT tax-deductible. 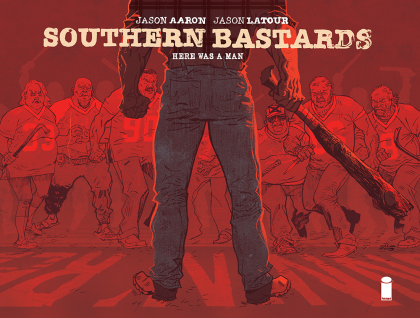 Thanks for coming out for our Southern Bastards event with Jason Aaron and Jason Latour! It was a great day and a fun time was had by all! 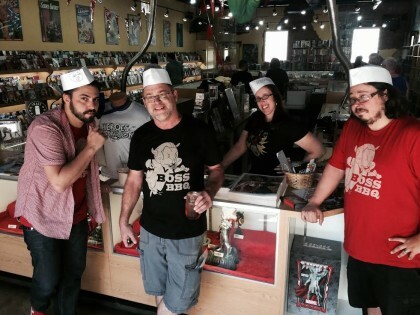 We’ve posted a bunch of photos to show you all the fun you missed if you were unable to attend. Follow us on social media and check back here for news and updates about all the events we organize! 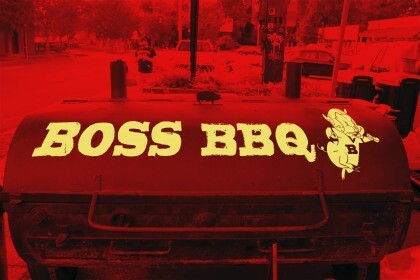 Boss BBQ, Sugah Jug Shirts and more are in our webstore now! Photos my Matthew Knapik and Rico Renzi — at Heroes Aren’t Hard To Find. 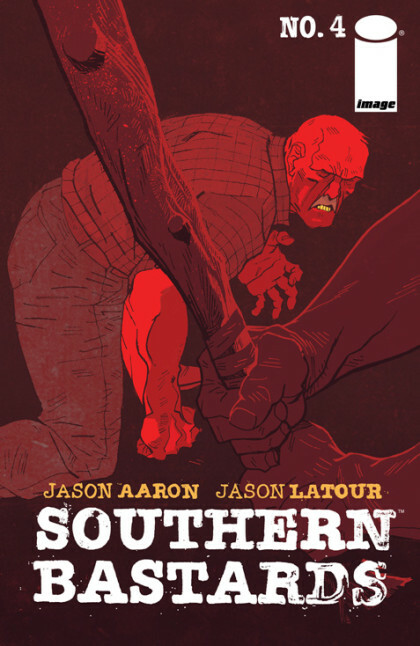 SETH’S PICK :: SOUTHERN BASTARDS #4: When each new issue of Southern Bastards is released, I find myself doing the same thing I did with Jason Aaron’s Scalped: re-reading each issue of that particular story line before enjoying the final chapter. While both books have strong elements of crime fiction within them, the greater similarity is that hold up to multiple readings and remain impressive. 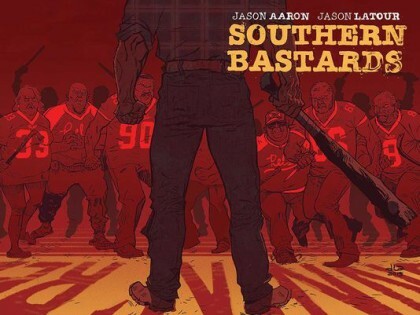 Aaron’s reliability as a storyteller is part of Southern Bastards‘ success, but just as key is the quality of the art. Jason Latour is finally receiving the attention he’s been due as a unique cartoonist in an ever-expanding field of comic book pin up artists. I’ve particularly been impressed with Latour’s ability to convey the mindsets of characters through their facial and body language. This sounds simple, I know, but how many times have you looked at a comic in recent years and every character’s face looks exactly the same? You don’t have that monochromatic wave of expressions in Southern Bastards. In fact, I would argue that you could infer the story’s meaning by simply reading the pictures without the script. Again, that seems like a fairly obvious role of comic book art, but how often do comics actually succeed on that front? 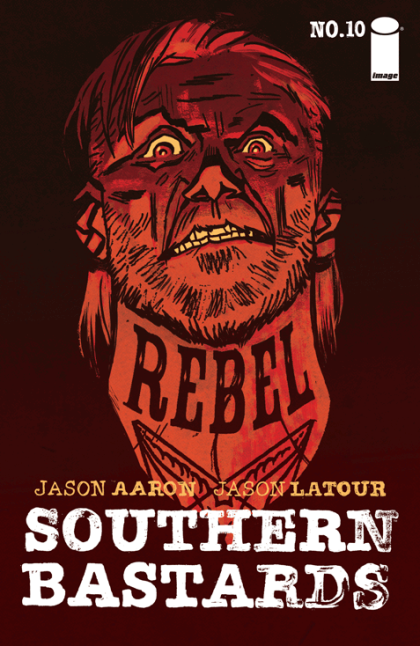 Southern Bastards exemplifies strong literary and visual storytelling, and if you haven’t yet realized what so many of us already have, make sure to pick up the first three issues or the upcoming trade paperback. Oh, and in this issue Earl Tubb fights Coach Boss. 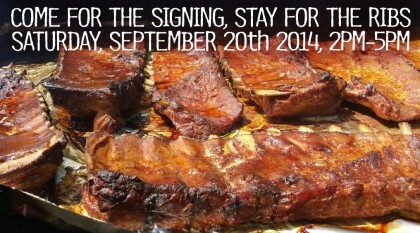 It’s set in the South, you see. 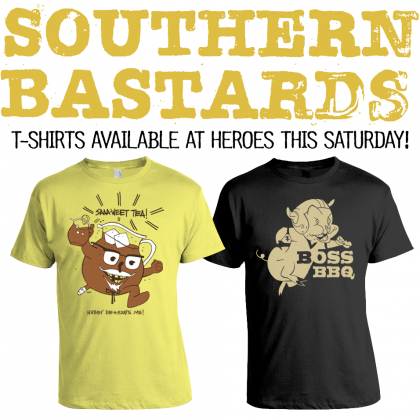 JUSTIN’S PICK :: SOUTHERN BASTARDS #2: When I see the word “southern” in anything, I am immediately skeptical. I’m all too accustomed to our region and citizenry being unfairly pigeonholed as a bunch of unthinking bigot morons. Thankfully, Jasons Aaron and Latour sidestep all that, and craft a tale that’s somewhere between pulp and spiritual. I’m sure nearly every one of you read #1; this is a gentle reminder that #2 needs your attention, as well. 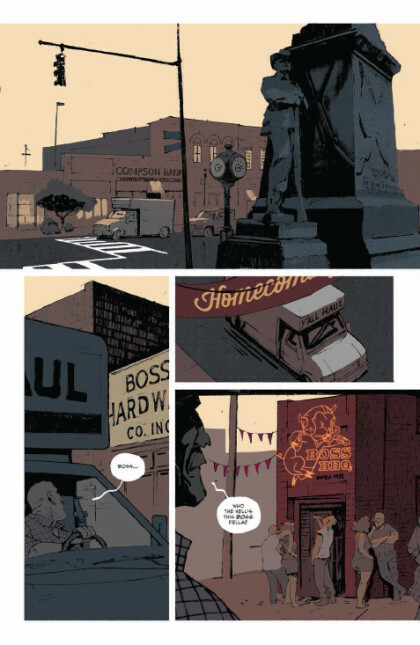 Aaron is working the spaces between genres like he did in his acclaimed Vertigo series Scalped, and Latour’s art is a blend of darkness and whimsy in the grand EC tradition (don’t let those colors fool you, I see Kurtzman and Davis both lurking in that line work). I arrived at Southern Bastards #1 with plenty of high hopes. Jason Aaron has long been one of my favorite writers, with his creator-owned Scalped being one of our great modern crime epics, and his mainstream Marvel work on Wolverine and Wolverine and the X-men being of reliable entertainment and quality. 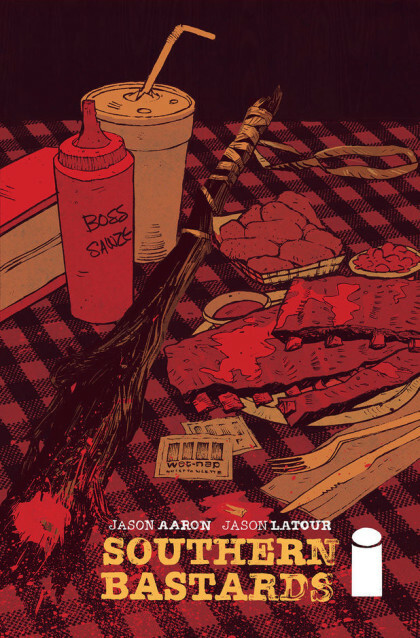 Jason Latour is an artist/neighbor whose work I’ve had a chance to see develop and flourish over the past 8 years. He’s proven himself as an accomplished writer on the creator owned Loose Ends and Marvel’s Winter Soldier, and as an artist on everything from B.P.R.D. to Captain America. Needless to say, I had a lot of expectations riding on this book. Upon my first reading of Southern Bastards, I quickly realized it was hitting close to home. I’ve lived in Charlotte my entire life. There aren’t many of us who can say that anymore. North Carolina isn’t the South of Southern Bastards’ Craw County, Alabama, but my Dad hails from Jackson, Mississippi, so I’ve got some deep south in my blood. Southern Bastards pulled up some of my memories of Mississippi and made me angry and wistful at the same time. The Mississippi of my memory is quiet and spacious, and seemingly hot all the time. There’s all kinds of beauty surrounding you, but it’s not always easy to see it, because there’s plenty there to offend and infuriate. It’s an odd juxtaposition, the vast expanse of natural beauty and the racism and violence that occurs within it. It’s all part of what modern southern songwriter Patterson Hood refers to as “The Duality of the Southern Thing,” and it’s always there. Southern Bastards does a better job of encapsulating this duality that just about any comic I’ve ever read. When we first meet Earl, he’s been in the big city (Birmingham) for years now, and he quickly realizes why he left his hometown. For all the good memories, there are plenty of things difficult and terrible about Craw County. While the series will surely tell us more about all of these things, it strikes me that it’s not an accident that Aaron and Latour chose Alabama as the locale for their story. Aside from the obvious fact that Aaron hails from the state, it’s worth remembering that Alabama is notable for several things other than football. On the cultural front, Muscle Shoals’ Fame Studios was a place where black and white musicians came together to make some of the most enduring American records, even in the midst of the unrest around them. And then you have Birmingham itself, where the violence of the Civil Rights struggles came to a head in 1963. Southern Bastards seems to be very conscious of so much that makes the South a wonderful and troubling place. There’s a phrase applied to music that says “always serve the song.” It refers to the idea of pushing your ego out of the way in a performance and letting the song’s inherent soul be revealed to the audience. 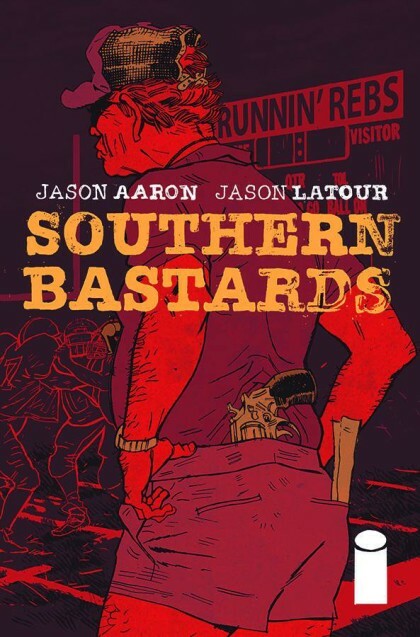 Though a different medium entirely, Aaron and Latour clearly serve the song in Southern Bastards, and it’s one that will get stuck in your head if you let it. This is a comic of deft storytelling and uncommon soul. I, for one, can’t wait to see how it all plays out. SETH’S PICK :: WINTER SOLDIER VOL. 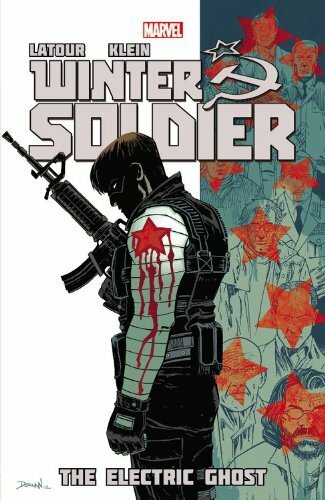 4 TPB: After writing and drawing books for Marvel, DC, Dark Horse, Vertigo, and 12 Gauge, our friend and neighbor Jason Latour landed the task of taking over writing duties for Ed Brubaker on Winter Soldier. Alongside artist Nic Klein, Latour offered a smart and funny take on the man formerly known as Bucky. The pair also introduced memorable new cast members like Robards and Electric Ghost, both of whom further defined the Winter Soldier and his world. Latour and Klein’s run received due acclaim, and though the series was ultimately cancelled (you know Marvel will relaunch it closer to the next Cap movie), their work was a fine addition to the character’s storied history. 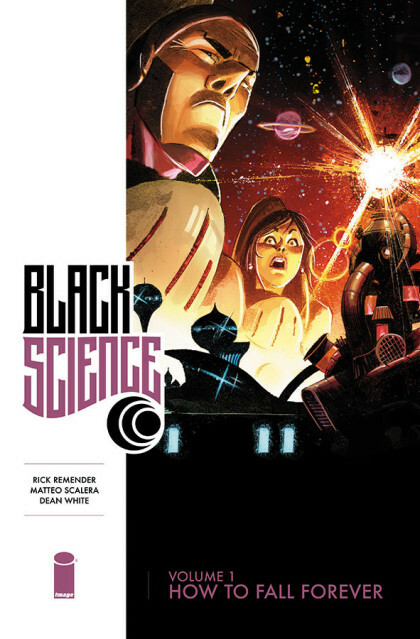 This collection gives you an idea of what can happen when like minded creators get paired on a book that makes perfect sense for them to collaborate on. It’s also, more importantly, an example of good and entertaining comics.